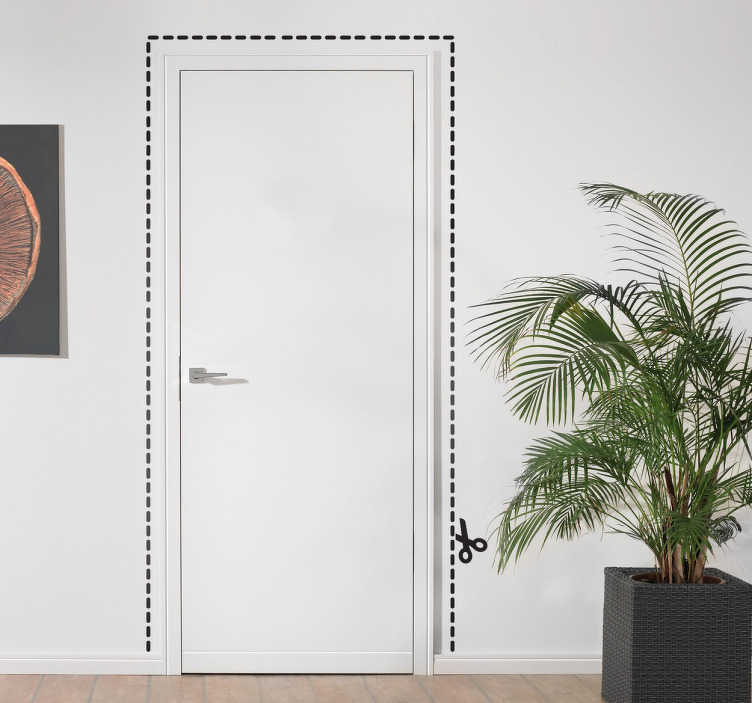 Transform your door into a cutout figure, with this fun decal from our collection of funny wall stickers! This decorative frame design is original, cool, different that it will make your walls more fun while adding to your home a touch of humor. This door sticker is easy to apply so there are no air bubbles inside and you can customise it by choosing a colour. If you have any queries in regard to the measurements contact us at info@tenstickers.co.uk.